Tengboche holds a special place in the hearts and minds of both Sherpas and world visitors. 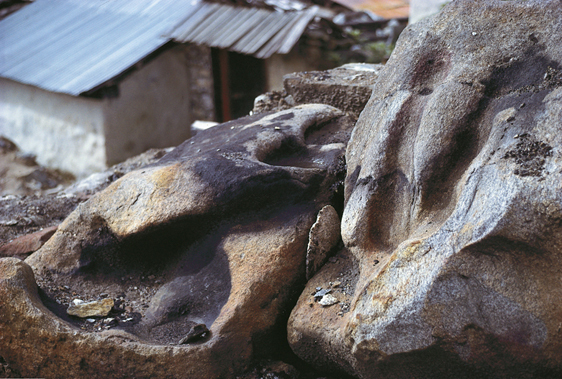 On a ridge in the heart of the Khumbu valley, it is more than just a monastery. The scene of the monastery surrounded by snow-clad peaks, realizes many people’s notions of Shangri-La, of a sacred place beyond our daily existence. 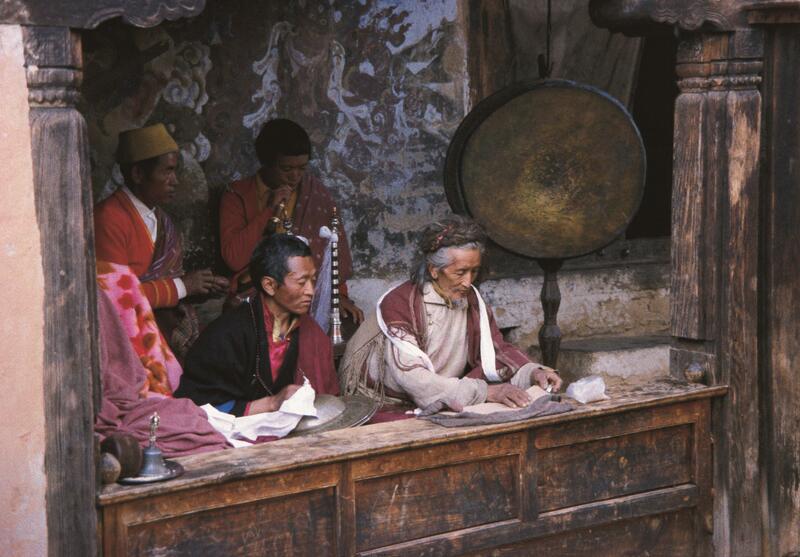 Despite Tengboche’s fame, the Sherpas only founded celibate monasteries relatively recently. For about four centuries, they practised their faith in hermitages and each village’s gonda (temple) under the direction of married lamas (teachers) who performed the rituals required by the community. Sherpas from many villages worked for three years to build a gonda for Tengboche monastery. They completed it in 1919 and the Abbot of Rongbuk came for the opening celebrations. His presence attracted Sherpas from several days’ walk away. 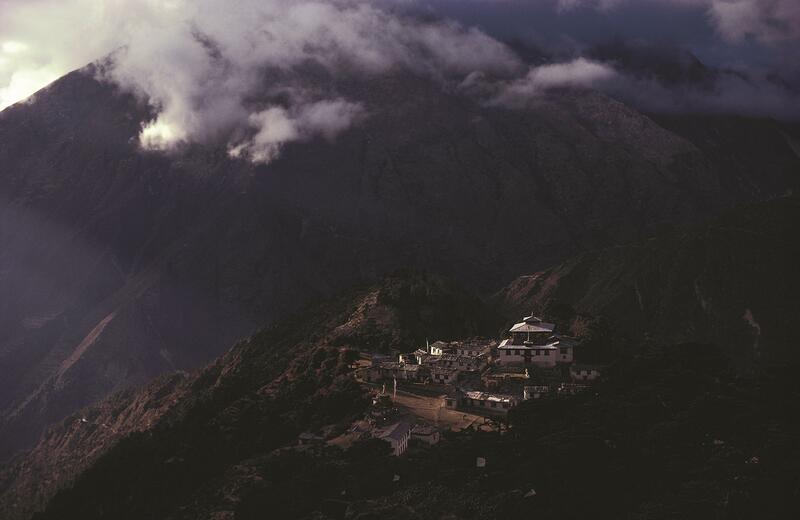 Thus, Tengboche became a focal point for Sherpa religious activities and the larger community of Khumbu. In 1932, an earthquake destroyed the monastery’s main temple. Lama Gulu was not injured but passed away that night. 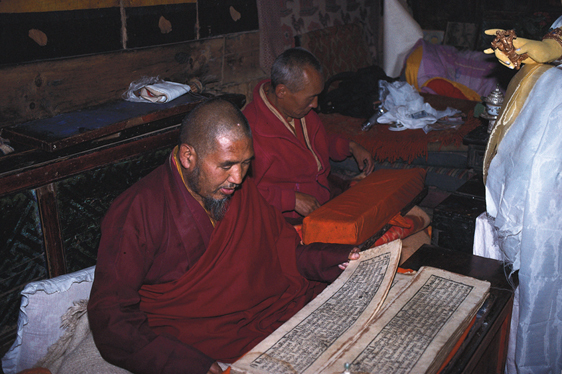 The monks of Tengboche went to Tibet to visit the Rongbuk Abbot, who told them to rebuild the gonda. He donated some money to start the reconstruction. Six years later, a young child from Nauche was brought to the Rongbuk Abbot, who recognized him as the reincarnation of Lama Gulu. That child grew up to be Tengboche Rinpoche, the abbot of Tengboche monastery in the Khumbu valley. 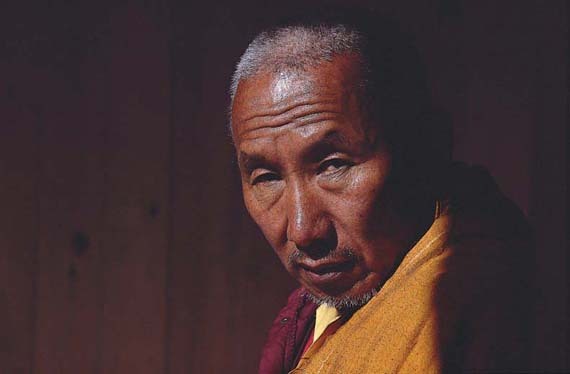 The Sherpas regard him as the reincarnate of the monastery’s founder. Everyone calls him by his title, Tengboche Rinpoche, and rarely by his given name, Ngawang Tenzing Zangbu. Tibetan Buddhists reserve the title Rinpoche for special teachers and their reincarnates. The Buddhist people of the Himalaya revere thousands of rinpoches in Nepal, Tibet, Bhutan, and India. “There are outward changes in appearances: some of our dress, houses, occupations, and opportunities.